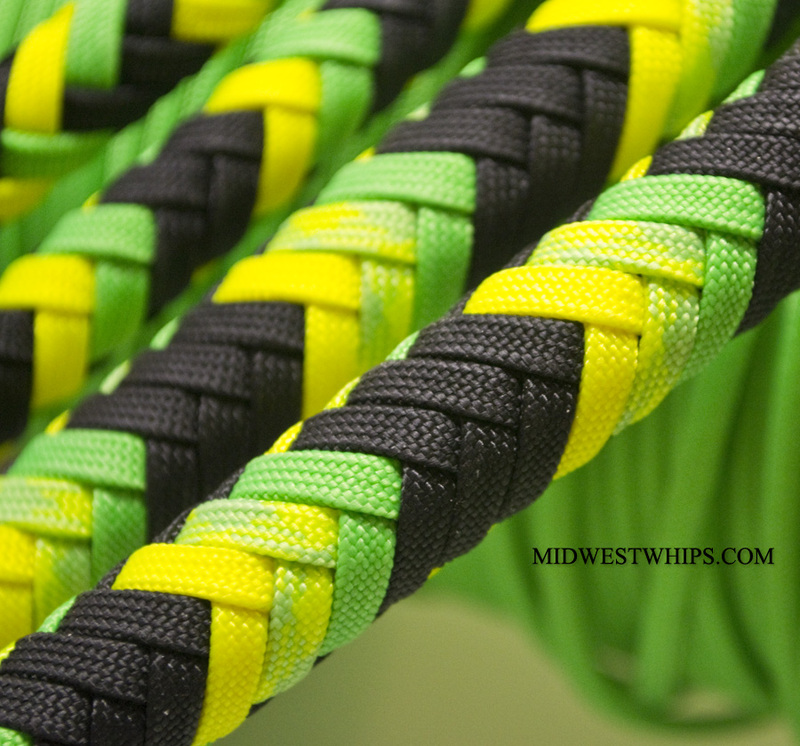 This custom matched pair of PH Nylon whips was made for Ryan in a Dayglow Gradient Pattern including the paracord colors Black, Neon Green, Dayglow, and Neon Yellow. 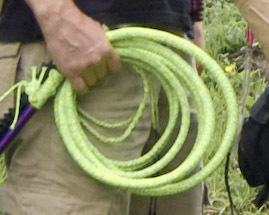 This 6ft PH Whip was made with Black and Neon Dayglow nylon paracord, which at the time of writing this photo post, is a special color that is not always available. However, we still have some of this color left right now, so let us know if Dayglow is a color that you are interested in using for your whip.